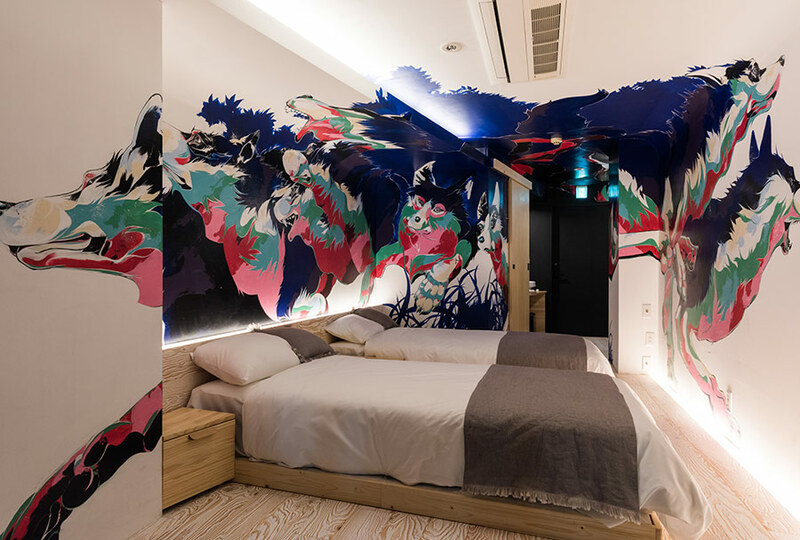 Based out of Tokyo, Japan, BnA (Bed and Art) is a social x art hotel project that aims to support Japanese artists while providing travelers with the unique and unforgettable experience of “staying in an art piece”. BnA was born out of 2 simple realizations. 1. Many talented contemporary artists in Japan are unable to make a living through their art. 2. Visiting art enthusiasts are unable to find small independent art galleries that showcase up and coming Japanese artists. 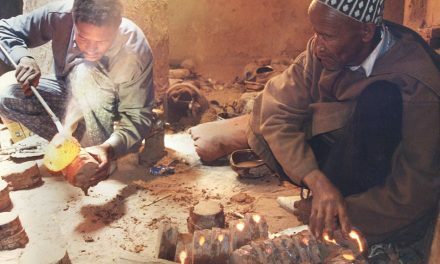 In an effort to ease these burdens, we designed a mutually beneficial ecosystem within which both artist and traveller can benefit. The system is simple yet effective; Create independent art hotel rooms with talented local artists and share the profits from room bookings, while guests get the chance to live inside a functional work of art and are immersed in the local art scene. BnA consists of 5 members, all business people that bring a range of industry skills from areas including design and architecture. There are 4 Co-founders (pictured above – not in order of appearance… necessarily… oh god, I don’t know): Keigo Fukugaki, Yu Tazawa, Yuto Maeda, Kenji Daikoku and the fifth member is Ikue Nomura. BnA were kind enough to let us have an inside peek at the hotel and rooms. 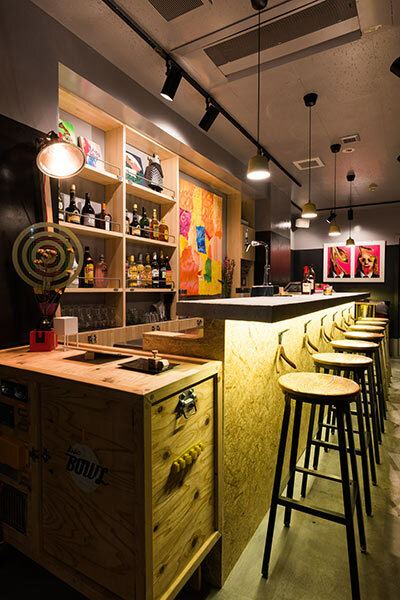 There is a reception/bar and basement/backroom gallery and two guest suites that were assigned an art director, Daikoku Kenji who is also chief Art director at BnA, alongside the artists. The attention to detail is fantastic, custom carpets, bedside tables and serious structural work have complimented some inspiring artwork. 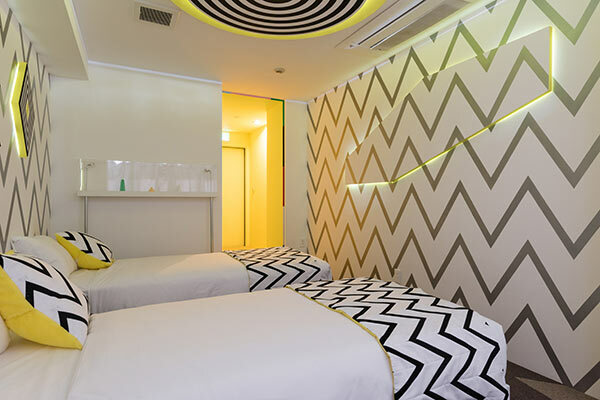 Considering Airbnb’s current predicament in Japan, the BnA Hotel Koenji is the alternative for interesting and rewarding accommodation for Tokyo in my opinion and the rates are very competitive. 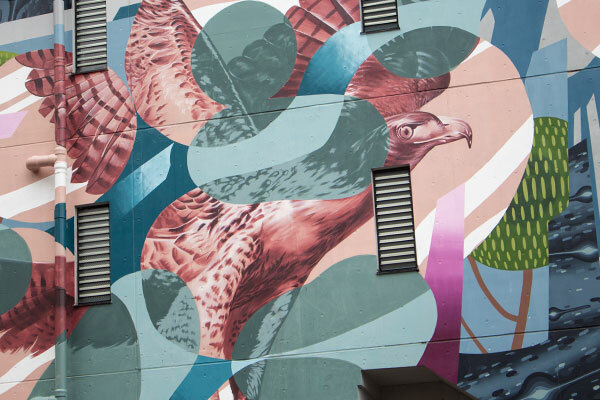 The Mural City Project is a terrific initiative that BnA has produced for the Koenji area. We spent a morning wandering around Koenji. It’s a very funky area and being fans of Shimokitazawa as our preference for the alternative take on urban Tokyo it seems Koenji is making a play for the title. 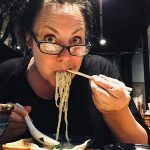 Koenji is known for its underground music scene, there is the usual Tokyo myriad of dining options and of course…. there’s coffee. But the art is what has us excited. The passion and support behind it is to be admired and should be experienced. Following or better still, finding the mural sights is a great way to explore Koenji. We caught up with BnA’s Pr/Marketing Manager, Sabrina Suljevic. Off the record I said. Just a few questions to paint a picture I said. We couldn’t ask for more, thanks Sabrina! 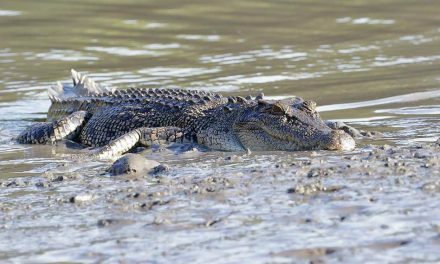 BnA is a terrific model created by some passionate people and we thought our conversation deserved and needed to be spread and read (with regard to liability Sabrina… he made me do it😐). 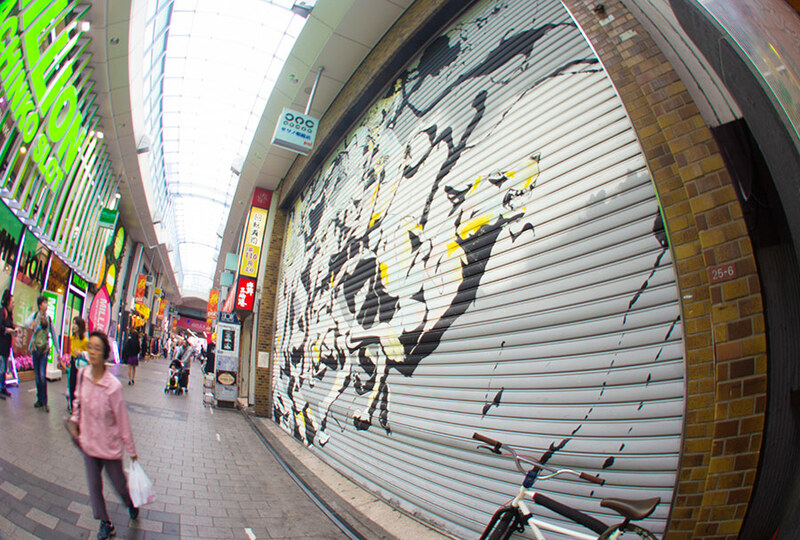 Q : It’s hard to find urban/street artists and art in Japan, can you tell us why? 1. Street art is still seen as “graffiti” and defacing of public-private property by residents and government alike. 2. Lack of government funding for street art projects (both financially and helping to secure walls). However, it is by no means impossible to find street art and every neighborhood has its own iconic street art piece, be that an electric box covered in awesome stickers and stencils or, like here in Koenji, murals. Their longevity main not be long-lasting, but they are around. Projects like MCP (Mural City Project), TOKYO MURAL PROJECT (BnA as producer) POW WOW, #BICTION and Legal Shutter Tokyo are slowly helping to change both the peoples and governments opinions of what street art actually means/looks like. Q : Can you explain how the BnA concept came about and how it works? A : BnA was born out of a need for a platform that supports up and coming, underrated Japanese artists by providing exposure and income. How it works is simple: we work with local artists to create one of a kind art installations that guest can stay in. Part of the profit earned from each room booking goes back to the room creator (artist), meaning the artists receives continual income while being able to exhibit their work to an engaged audience. 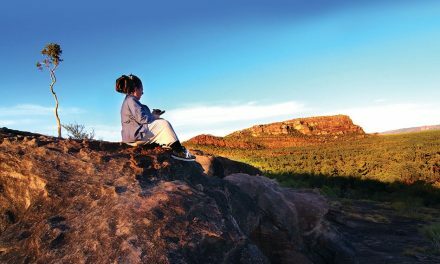 Guest get to stay somewhere interesting, be plugged into local art communities and can feel great about actively contributing to the art and the local community. 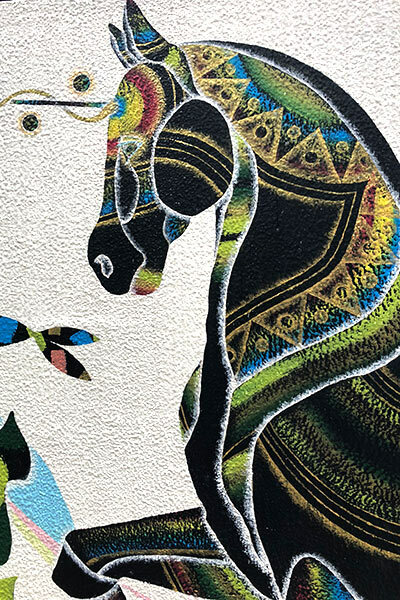 Q : What’s next for BnA & the Mural City Project? A : For BnA we have a number of hotels in the pipeline, with the next opening in Kyoto. Title BnA Alter Museum, this is our biggest hotel yet 31 rooms, 16 artists and 8 art directors all from the greater Kansai area. 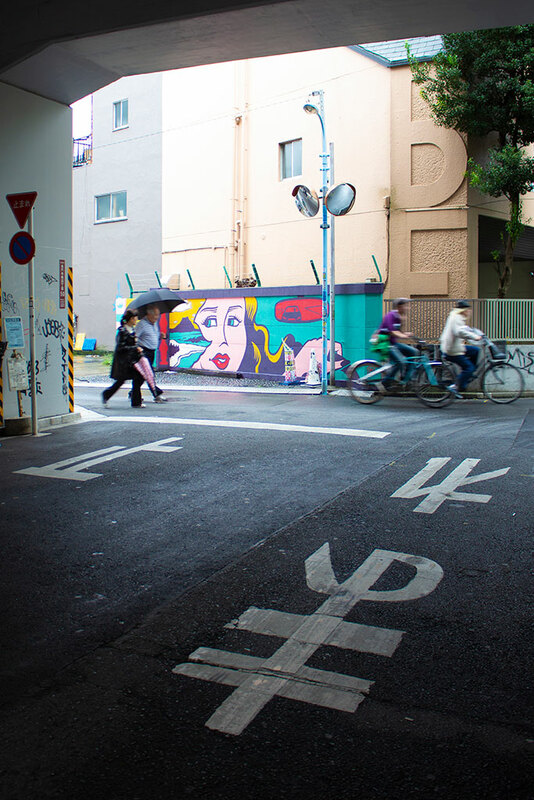 As for MCP (Mural City Project), we are currently at 6 murals in Koenji and are pitching to secure walls for future murals while also looking to expand the concept into the rest of Japan. Here’s a cool video of the BnA Hotel Koenji in the making showing the team with Yohei and Ogi at work. The artists involved are – Tsuyoshi Tsuyoshi, Yohei Takahashi, Yuji Oda, Whole 9 & Shogo Iwakiri. 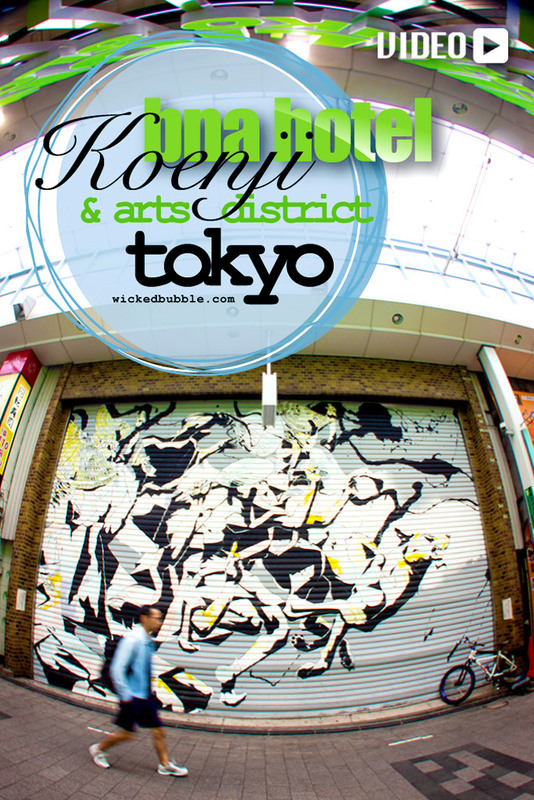 More information here about the Mural City Project in Koenji. 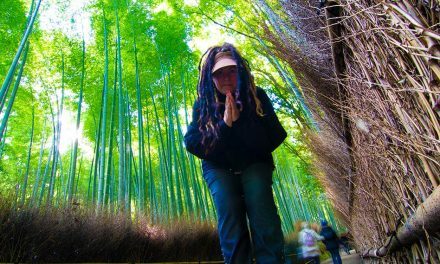 *Getting around Tokyo isn’t a big deal, it’s what’s on offer that takes it out of you. The list is endless. If art is your thang you’ll want to have peak at Tokyo – A Japanese Art Tour In 2 Days and whilst we are on that theme you might want to visit The Coolest Art Store In The Whole Wide World – Pigment Tokyo or give yourself a break and experience just how skillfully the Japanese have embraced the espresso, take a look at our Tokyo Coffee Guide.